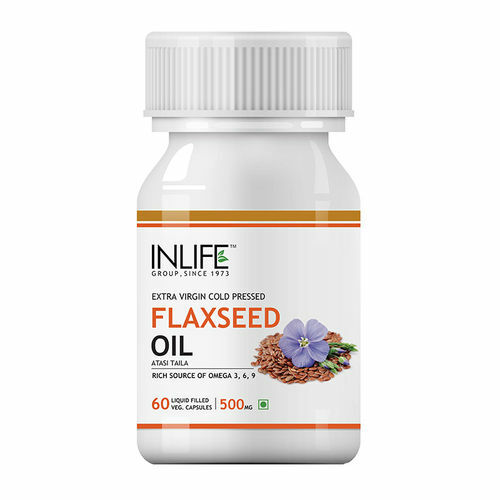 INLIFE Flaxseed oil is extra virgin cold pressed - rich in omega 3,6 and 9 to provide you with the essential fatty acids your body needs. It is rich in ALA (Alpha linolenic acid) and other fatty acids and phytonutrients. Flax seed oil has been clinically proven as an excellent immune support supplement. Increases fat metabolism and helps in losing body weight. Improves stamina and boosts energy.